It is the mark of a good writer that you can pick up the 3rd book in a series and still follow along and enjoy the book. This was the case with "Another Way Home" by Deborah Rainey. Danae and her husband Dallas are suffering from infertility. Knee-deep in costly infertility treatments that have not had the desired effect, their marriage is struggling. Danae is also suffering from extreme resent and jealousy of her sister who is expecting child number four, a completely unplanned pregnancy. Danae would like to consider adoption, but Dallas, adopted as a baby, refuses to consider it. Dallas suggests that Danae take on some volunteer activity to fill her days and take her mind off her infertility. A battered woman's shelter wasn't what he had in mind, but that is where she ends up. There she encounters a young woman named Misty and her son Austin, who will change their lives in more ways than she could ever imagine. 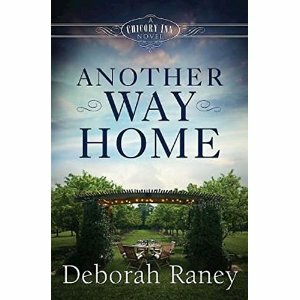 "Another Way Home" is a well-written, engaging story about family, faith, adoption, and finding God's will in unexpected places. 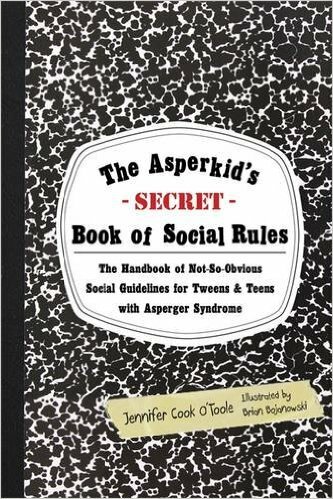 I recently reviewed The Asperkid's (Secret) Book of Social Rules: The Handbook of Not-So-Obvious Social Guidelines for Tweens and Teens with Asperger Syndrome by Jennifer Cook O'Toole which my Aspie teen highly recommended. 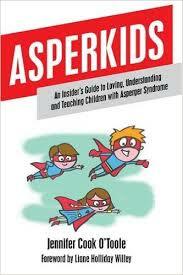 I therefore was eager to read the original book in the series: Asperkids: An Insider's Guide to Loving, Understanding and Teaching Children with Asperger Syndrome . I was not disappointed. 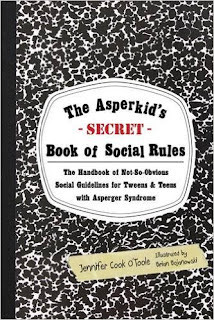 Cook O'Toole has Asperger syndrome, is married to an Aspie, and has three Aspie children. She knows what she is writing about and offers the unique perspective of being an Aspie as well as being the mother of others. She refers to this book as "your Rosetta Stone. Let me teach you how to speak Asperger's, think Aspergers, play Aspergers." As an Aspie, she emphasizes the importance of connecting with Aspies through whatever their special interest is at the time. "An Aspie's special interest is not a perseveration to be endured - it is the most powerful way into our hearts and minds . . . the child's passion is the way to get him passionate about learning." As a mother, she acknowledges this can be hard. At her dinner table, there may well be "concurrent monologues about Athena, dinosaurs, and Spiderman." Nevertheless, that passion is your ticket into their minds and hearts. "As much as you hear, it is only the tip of the iceberg of the wealth of thought, the seduction of belonging, the sacred-yes, sacred-dimension where we cannot mess up or be excluded. . . .sometimes it is the best friend we have." She also acknowledges that Aspies often face some unique learning challenges and don't always get the help they need in the traditional school system. Her children have both attended traditional schools and been homeschooled. "Many Aspies, who may already battle anxiety, confidence issues, and some OCD tendencies, must also manage real roadblocks like working memory problems, dyslexia, dysgraphia, ADHD, visual or auditory processing issues, hypotonia (low muscle tone), motor planning problems, or sensory integration issues." Yet, "they are often 'too bright' to receive educational or therapeutic support, even if they have legitimate deficits in learning." The second half of the book is dedicated to describing practical ways to work around learning challenges and teach both academics and practical life skills. Honestly, even as a homeschooling mom of an Aspie, I found the sheer mass of ideas exhausting. But, this is definitely one of those cases where you can take a couple ideas and try to implement them. Baby steps of progress are much better than no progress at all. Those new to the world of Aspies will especially find this information helpful. As Cook O'Toole states, "understanding has changed everything." Trying to see and understand the world the way your Aspie child does can only help both your relationship and their educational journey. I always look forward to Richard Paul Evans' Christmas stories. 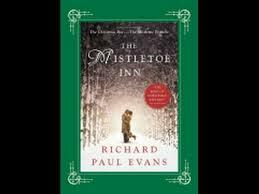 His latest offering is The Mistletoe Inn, the second installment of his "Mistletoe Collection." The three stories are only very loosely related and you need not have read the first in order to enjoy this one. Kimberly Rossi has a very good reason to hate Christmas. In addition, she is going through a divorce, her father has cancer, and her first novel has been rejected by everyone. 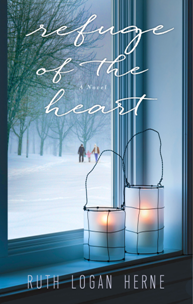 When her father insists she attend a Romance Writer's Conference at The Mistletoe Inn in Vermont in order to meet her favorite reclusive writer, she reluctantly agrees. After the first day, it seems like a complete waste of her time and her father's money, money that could be used for his cancer treatment. But, then she meets a fellow writer named Zeke who takes a real interest in her work and her. When he offers his honest take on her story, will she be able to take it? While the book is a little on the predictable side, that doesn't take away from its charm. 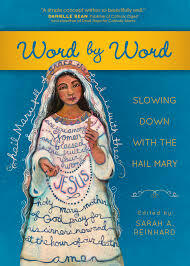 This is a great Christmas read, especially for aspiring writers. 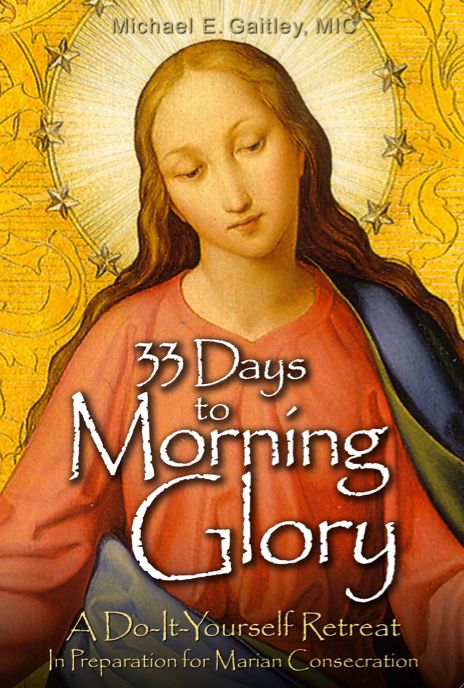 3D Catholic invites you to join others in your immediate area in practicing 3 Catholic devotions for 30 days. 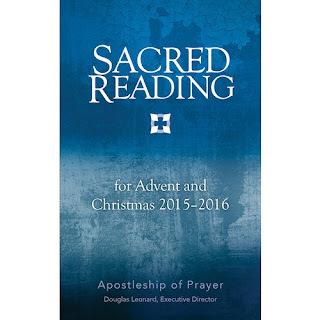 Each of the devotions is focused on the Incarnation of Jesus Christ and provides the grace to live according to it. The problem many people have with devotions is that they get too busy or simply forget to practice them. 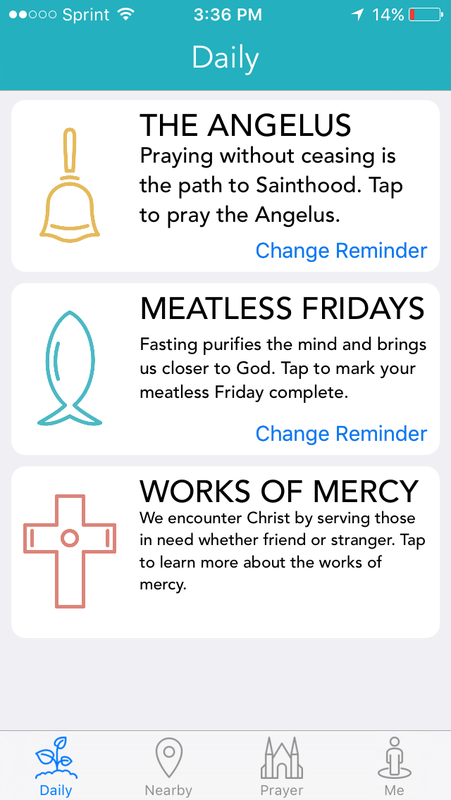 3D Catholic provides helpful reminders and connects you to other Catholics who are practicing the 3 Devotions along with you. 30 days of practice means you will be well on your way to forming a habit - and a life giving one at that! 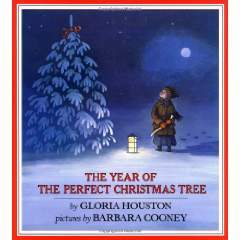 The Year of the Perfect Christmas Tree is an older book, written in 1988, but it is one I never read before and it touched me so much I simply had to review and recommend it. It takes place during World War I in Appalachia. Ruthie's family was in charge of providing the Christmas tree for their local Church that year so Ruthie and her father went to pick one out in the early spring. They find a perfect balsam on a high cliff. But then, Ruthie's father is drafted into the war. 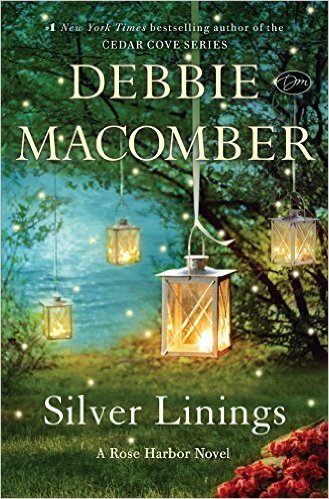 The year wears on and Ruthie and her mom struggle to make ends meet without him. Every night, Ruthie prays the same prayer, "Please send my papa home for Christmas and please have old St. Nicholas bring me a doll with a beautiful dress, the color of cream, all trimmed with ribbons and lace." Finally, a letter comes that her father will be home for Christmas. But, the days until the holiday grow shorter and he still doesn't come. Is there any way for Ruthie's family to deliver the promised Christmas tree and for Ruthie to get to be the Christmas angel? Will her daily prayer be answered? When I was reading this story out loud to my daughter, I was sobbing so hard I could barely read. 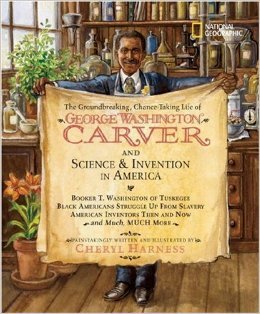 It is recommended for grades K - 3, but it is definitely one of those picture books that all ages can read and be touched by. Catholic Meaning in the Song, "The Twelve Days of Christmas?" 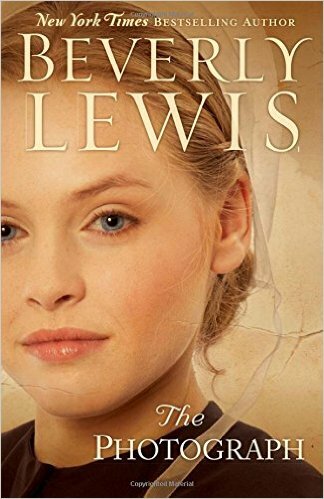 Beverly Lewis is one of those authors I know I can count on to provide an enjoyable leisure read. The Photograph, a new work of Amish fiction, lived up that reputation. Frona, Eva, and Lily Esch are three young Amish women trying to make their way after their parents' death. When Lily leaves the community one night, providing no information about where she is going, Frona and Eva are left feeling even more lost and follow every lead in an attempt to find their wayward sister and bring her home. Making matters worse, their older brother Menno decides he is going to move into the family homestead with his own family, leaving at least one of them with no place to live. 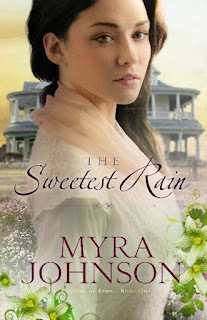 Eva is being courted by Abner, but she can't imagine becoming a farmer's wife. Meanwhile, Jed, a stranger who has come to town to work in a buggy shop, takes an immediate interest in her. But Jed has a secret of his own and an untold reason why he was so attracted to Eva on first sight. The only odd part about this story is that it takes place in 1980 without any compelling reason. The only sign that this is the case is that one of the characters was talking about Ronald Reagan. This is in no way takes away or adds to the story. This is a light, enjoyable story, perfect for relaxing with. Beverly Lewis has once again delivered a pleasant read that fans of Amish fiction will enjoy. 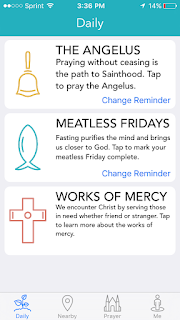 A brief explanation of the Holy Year of Mercy inaugurated on December 8, 2015 by Pope Francis. Made with LEGO by Fr. Roderick. On October 12, 2013, “Pope Francis revealed to the world his special devotion to the Blessed Virgin Mary under the title Our Lady, Undoer of Knots. . . He spoke of Mary as the ‘new Eve’ who unties the knot of Eve’s disobedience.” In May 2014, Marge Fenelon traveled to the Holy Land with the Catholic Press Association as part of Pope Francis’ pilgrimage. At that time, Pope Francis made an “urgent request that we pray for peace” in the Holy Land. In light of recent events, that need is even more acute. 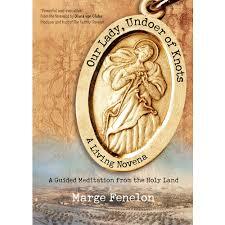 In Our Lady, Undoer of Knots: A Living Novena, Fenelon combines her experiences and insights while exploring the Holy Land with a novena to Our Lady, Undoer of Knots. The knots that Fenelon discusses include injustice, separation, confusion, hopelessness, grief and loss, discord, betrayal, envy and pride, and affliction. 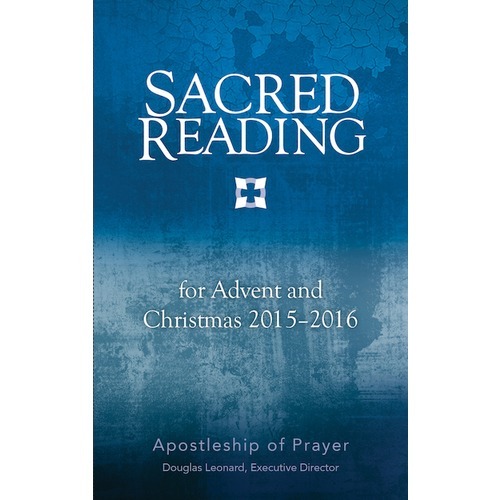 Each chapter begins with a quote from Pope Francis, includes Fenelon’s thoughts, then moves on to a prayer, rosary, and reflection questions. 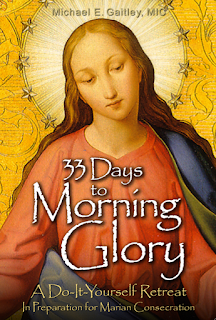 The book is intended to be used for nine days with one chapter being read and prayed each day. The intent is not only to pray for peace in the Middle East, but also to undo the knots in our own lives. “Conflict doesn’t only occur in the Middle East; it occurs in our own personal lives as well, and even at our dinner tables.” We all need to pray for peace in matters both big and small. While the novena is designed to tackle a wide range of knots and reading the entire book is highly recommended, one might also choose to pray a novena focusing on the one knot that is causing the most problems in one’s life at that time. Fenelon also encourages readers to meditate on the image of Our Lady, Undoer of Knots which portrays Mary undoing a ribbon full of knots. The ribbon “represents your life – the life God wants you to live in freedom, holiness, and peace. The ribbon is knotted, and each knot stops you from proceeding on your journey to fulfill God’s will and grow in his grace and mercy. . . Allow yourself to come so close to Our Lady that you could imagine yourself sitting at her feet, watching her untie your knots.” An appendix explains the history of the image and is well-worth reading. - a new work of Catholic Young Adult Fiction. 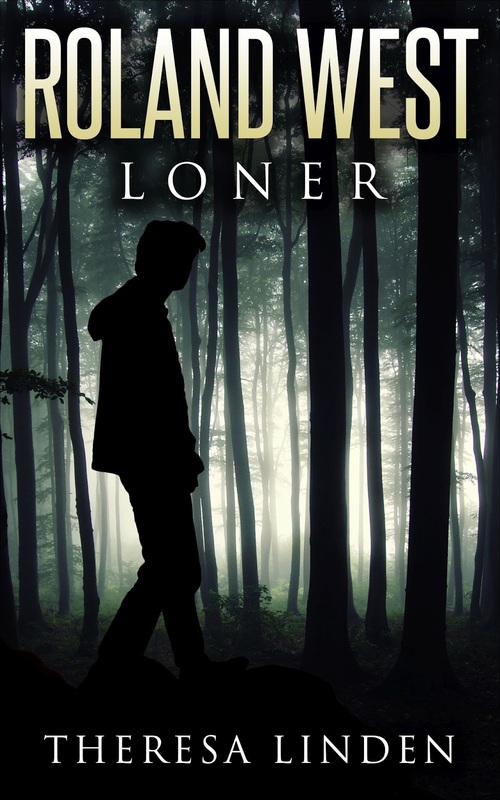 Roland West, Loner addresses loneliness, sibling relationships, facing fears, autism, and the Communion of the Saints. This is the first in a series of Catholic teen fiction. "A heartwarming tale of friendship, faith, and forgiveness. Linden had me laughing on one page and crying on the next. The story stayed with me long after I closed the last page. 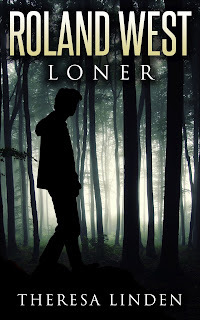 Simply put, Roland West, Loner, is the best Catholic fiction I've read in ages." Author bio: Theresa Linden, a homeschooling mom of three adopted boys, grew up in a military family. Moving every few years left her with the impression that life is an adventure. Her Catholic faith inspires the belief that there is no greater adventure than the reality we can’t see, the spiritual side of life. 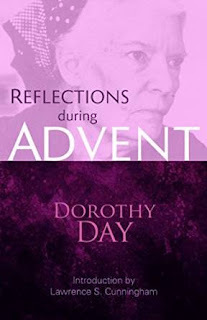 She hopes that the richness, depth, and mystery of the Catholic faith arouse her readers’ imaginations to the invisible realities and the power of faith and grace. A member of the Catholic Writers’ Guild and the International Writers Association, Theresa lives in northeast Ohio with her husband, three boys, and one dog. Her other published books include Chasing Liberty and Testing Liberty, books one and two in a dystopian trilogy.